Blackpool’s promenade was a sea of red as more people than ever before took part the Santa Dash for Brian House Children’s Hospice. Now in its ninth year, the two-mile fun run saw 1,800 people dressed as Father Christmas dashing from Sandcastle Waterpark to The Manchester pub and back to raise money for the Fylde coast’s children’s hospice. 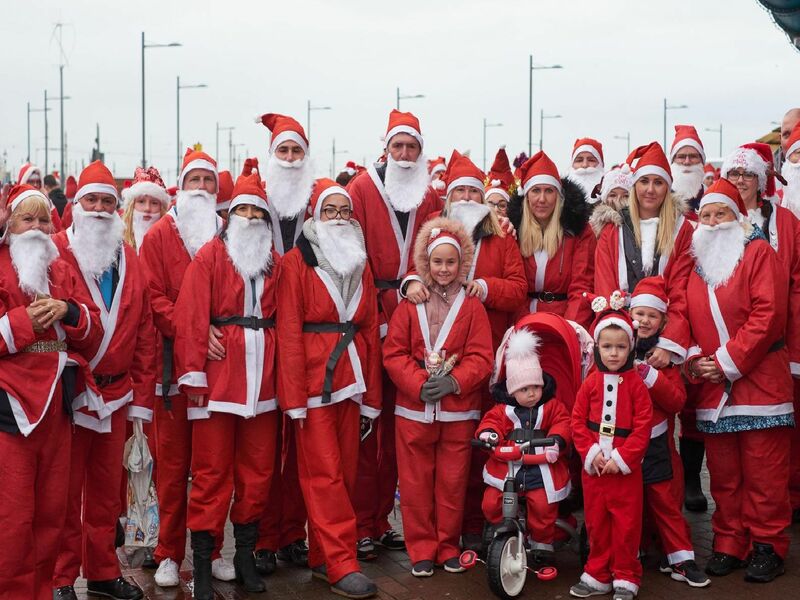 Blackpools promenade was a sea of red as more people than ever before took part the Santa Dash for Brian House Childrens Hospice. Honey Cherry, Jennifer Allen, Joan Millett and Bruce Cherry.